My friend, Richard, sent me a book about bookshelves. Richard has about as many books as I do, so it is a shared passion. Anyone with tons of books might just be drawn to such a book. In fact, I own several books about bookshelves. This book, by Alex Johnson, is chocked full of tweaked and tortured bookshelves. It is the bookshelf as art. Practicality has been tossed out the window. I do admit to spending too much time trying to read the titles on some of the bookshelves instead of admiring their creativity. Now this bookshelf I adore. It give a literal meaning to that Anthony Powell tome, Books Do Furnish A Room. I am thinking of building a bookshelf chair. 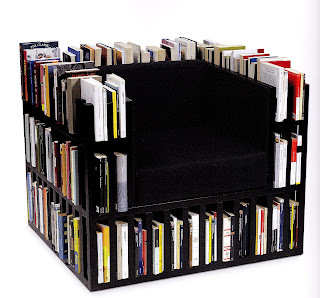 On second thought perhaps a bookshelf daybed. Now this is just flat out silly. Take a close look. Not a single book in the room. 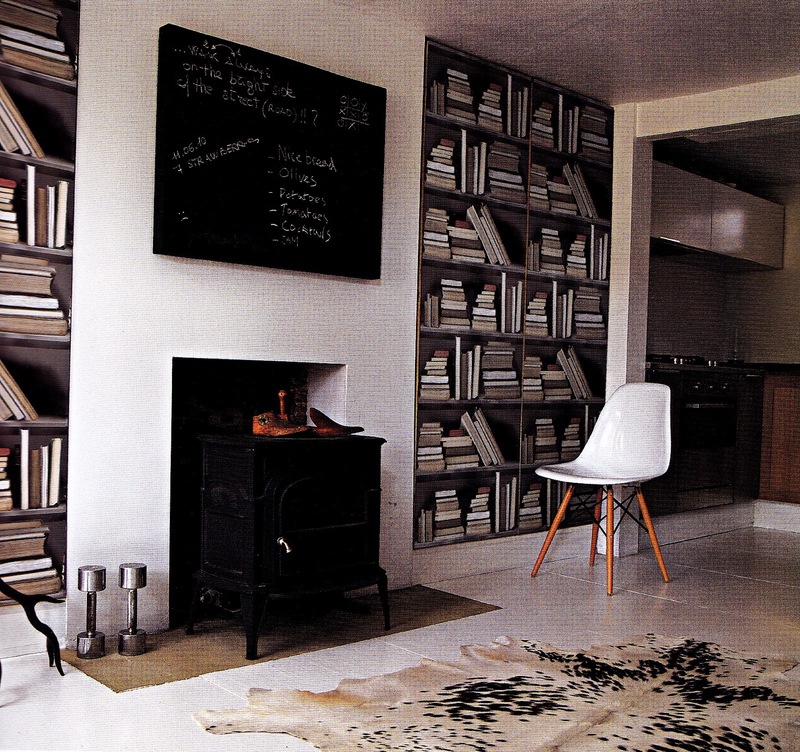 Bookshelf wallpaper is an abomination. This room screams, "I am just too stupid to read." Tell the truth... if you walked into this room you would immediately hate this person! 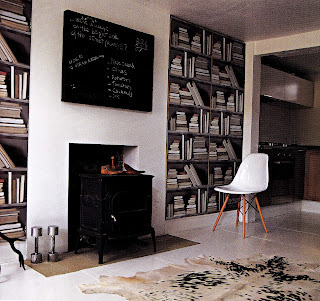 As I said before, most of the bookshelves herein, lean to the artistic and not the practical, but we do just love those arty bookcases. Check out i suwannee for her frequent "Bookcase of the Day" posts; a history of the posts can be found here. I disagree! Some of us like the aesthetic of books and bookshelves, but either don't have the space or can't deal with the dust. There's something comforting about having a bookshelf full of books in the room, even if they're not real. I think it's a fine idea.